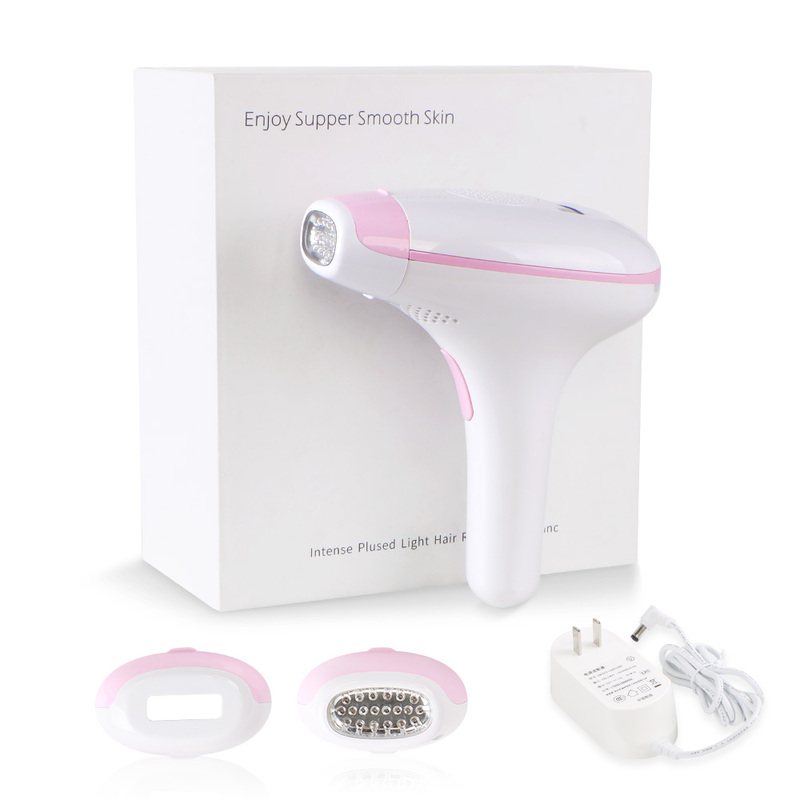 The appliance works by heating up the hair and root beneath the skin. The melanin in the hair and hair root absorbs the released light pulses. The darker the color of the hair, the more light can be absorbed. This process stimulates the hair to go into the resting phase. In between treatments, hair sheds naturally and regrowth is inhibited. Hairs can take one or two weeks to shed. Optimal hair removal cannot be obtained with a single session,since only hairs in the growing phase are susceptible to treatment with light. During a treatment, hairs on the treated area are usually in different stages of the hair growth cycle.To effective treat all hairs you have to repeat the treatment once every two weeks for the first two months.